It’s hard to believe this 30 days is over. There were a few days scattered throughout that were tough, but really? 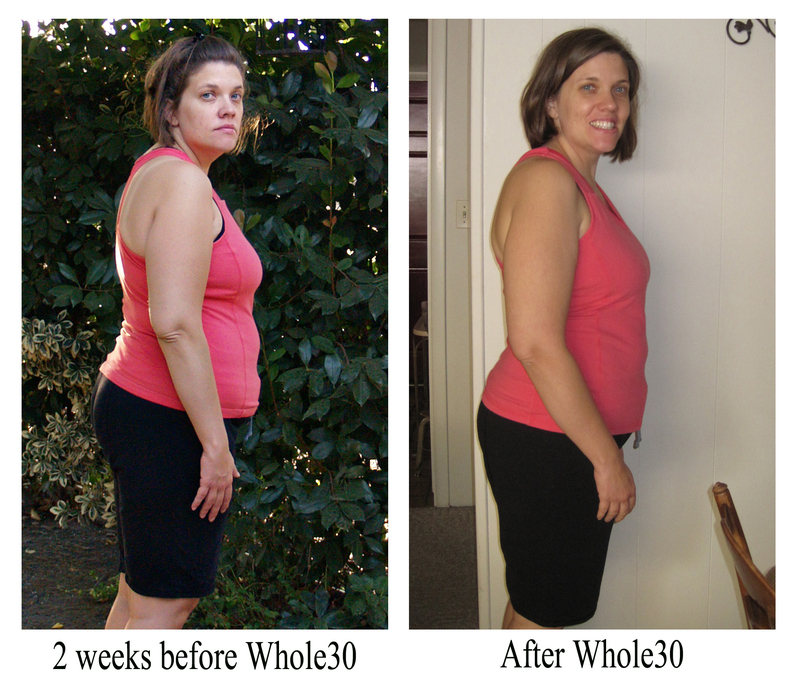 And at the end of these 30 days of strict paleo eating? I lost 9.4 pounds and 6.75 inches, bringing my total loss from my highest weight (after I got sick and gained 70 pounds in 4 months) to 61 pounds. Side note: how well does a paleo diet work for weightloss? It took me almost 2 years to lose the first 30, and 8 months of very strict calorie counting and hard working out to lose the next 15. In the past 10 weeks of eating paleo, I’ve lost another 15…with no calorie counting, no obsessively writing food down and very little exercise. I’m seeking good and not perfect. Perfect leads me to dark places, frustration and giving up. Good is something I can sustain and build on. I stayed away from the scale and the tape measure for the entire 30 days. I remained dairy free the entire 30 days, something I’ve never been able to do for more than a week. No refined sugar and almost no unrefined sugar. My one sugar failure was during a sinus infection last weekend, when all I wanted was hot cocoa. I made do with coconut milk, a really good cocoa powder, a drop of vanilla and another drop of pure maple syrup. It was so rich, I drank about a third of a cup and was good. In all honesty, I should have started over…but again, my goal wasn’t perfection and I chose to focus on the good. I’ll shoot for perfection when I do it again in January. Most of all – and this really is the biggest success for me – I feel awesome. Even after fighting a nasty sinus infection for a few days, I feel great. My energy levels have been consistently high. Other than the hot cocoa, I’ve had no food cravings…or mood swings…or crazy hunger pains. My relationship with food has been completely changed through 10 weeks of paleo and even more so after 30 days of Whole30 – it’s just food. And the scale addiction I’ve fought for so long – often weighing myself 2 or 3 times a day is done. I weighed last Wednesday at the end and haven’t stepped on the scale again since. And I need to point out, again and again – not once did I feel deprived. Never. Eating out was the most difficult, but even then I was always able to make Whole 30 appropriate choices, regardless of the restaurant we were at by asking lots of questions and…well…my orders were just weird sometimes. I got over my insecurities and made the requests I needed to take the best care of myself. I am going to give myself a little slack for the next few weeks – I’m going to add in a little bit of dark chocolate and a few baked goods…once in a while…as a special treat, which is what they should be for all of us. Other than that, I don’t really see any other changes I’ll be making. This feels too good to muck it up. This entry was posted in Simply Paleo, Uncategorized and tagged paleo, Primal, Whole30 by Awkward Girl Gets Fit. Bookmark the permalink. I’ve been following along on this and talking it over with my hubs…there is one thing I know I can’t do and that is manage the entire change all at once..I just don’t do well in that kind of an all or nothing environment. But this week, I started with no bread/processed grain. I’m only on day two, but I will let you know how the week goes. It would be a huge change to do all at once – I know people who have done it, but I don’t know how. I’m sure having been forced to cut gluten out over a year ago made it much easier for me. I’ve seen a few 21 or 30 day plans, but I think for most people coming from a Standard American Diet even that might be too fast. I’d love to see someone come up a 60 day plan that made maybe one major change a week. I don’t think I could have done a whole30 before I ditched the grains either. However, once I got rid of the grains I felt sooooo much better I felt like I could do anything! I still haven’t done a whole30 yet…maybe some day. I usually work on taking out one thing at a time. I love how you say “I’m seeking good, not perfection.” My life would be so much easier if I would remember that. Thanks for posting your story – very inspiring. Congratulations! I wasn’t perfect either but also felt better after 30 days. What an amazing, inspiring story (saw it posted by Dallas and Melissa at Whole9). I love your perspective on “I’m seeking good and not perfect.” Kudos to you for being real and all your success! I like seeing that smile on your face. It has been almost 2 years since I lost 65 pounds in 90 days. The last 60 days of the 90 was eating paleo. 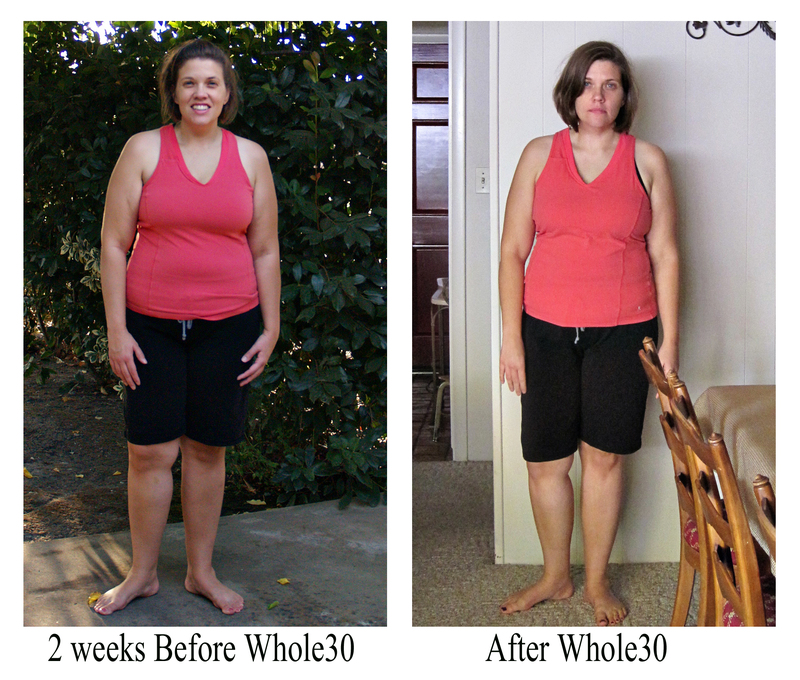 It is so good to hear you say that you where not hungry during the 30 days and your energy level is high. It is also interesting to note that your sinus infection went away in only a couple of days. With the inflamation reduced in your body from not eating grains, dairy and sugar, your body had the resources to immediately attack the infection and quickly heal the body. Great work and stay with the new changed life style. Thanks! I know if I were eating a SAD, that sinus infection would have knocked me out for weeks. I had hoped the lack of dairy would keep them from happening at all, but I live in California’s San Joaquin Valley…home of some of the worst air in the nation. If I can at least keep them minor, I’m happy to stay away from the dairy aisle! Great work, and an even better perspective. Stick to seeking the best for your health and all the other benefits will follow. Seems like you’re reaping one of the best bennies right now: a kinder self-view. I think that’s one area that I haven’t seen talked about too much, and haven’t shared much of either – I really do feel better about myself (and the world in general) when I eat this way. I hadn’t noticed it before! Wow, you can TOTALLY see the difference!!! Good on you! Congrats, I did Whole 30, 60 days ago and then decided to do it for another 30 days at about day 50 I decided to start adding back things gradually. Whole 30 has changed my life and I am grateful for it everyday. Best of luck to you.